Dodgers Beat Astros 3-1 In Game 1 of The 2017 World Series : The Two-Way Los Angeles went ahead on a two-run home run in the sixth and held on to take the lead in the best-of-seven series. The Los Angeles Dodgers' Justin Turner (left) celebrates his two-run home run in the sixth inning of Game 1 of the World Series Tuesday in Los Angeles. The Los Angeles Dodgers beat the Houston Astros 3-1 in Game 1 of the 2017 World Series in Los Angeles on the strength of superior pitching and timely home runs. The Dodgers got a strong performance by their ace, Clayton Kershaw, who struck out 11 batters over seven innings, surrendering only one run on three hits. He walked none. "It was a special night for Clayton," Dodgers manager Dave Roberts said about his three-time Cy Young Award winner. Kershaw said he really couldn't tell the difference between any other postseason start and a World Series start. "But it definitely feels good to say it was the World Series and feels good to say we're 1 and 0," he said. The Astros' starter, Dallas Keuchel, pitched almost as well. But the Dodgers' three runs came on pitches Keuchel would probably like to pull back. 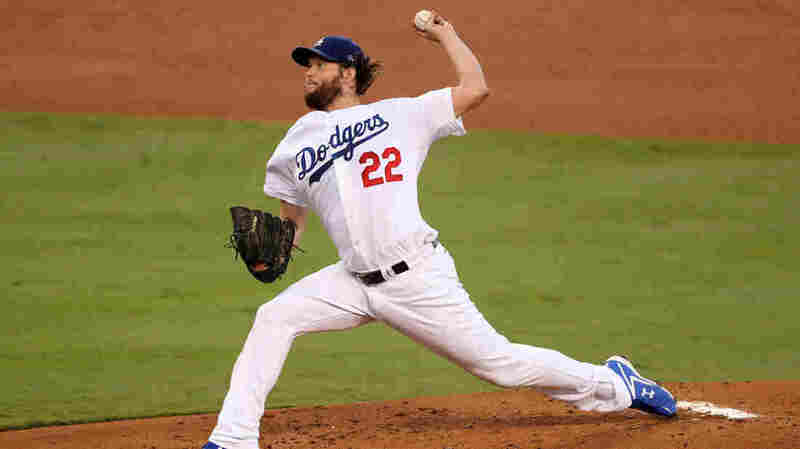 Winning LA pitcher Clayton Kershaw held the Astros to one run over seven innings in Game 1. He had relief help from Brandon Morrow and Kenley Jansen in the eighth and ninth innings. The Dodgers drew blood in the bottom of the first inning when center fielder Chris Taylor smacked Keuchel's first pitch deep into the left field seats. Down by a single run, the Astros' starting pitcher kept the Dodgers at bay with his own efficient pitching and the help of three double plays by his teammates. Houston third baseman Alex Bregman silenced the Los Angeles crowd when he opened the fourth inning with a solo homer off of Kershaw to tie the game 1-1. The game was looking like a classic pitchers' duel until the bottom of the sixth inning when Keuchel, with two outs, walked Taylor. 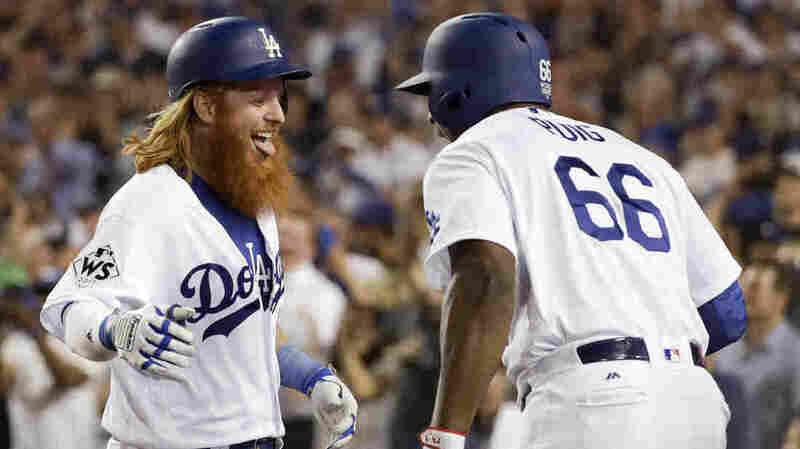 Dodger third baseman Justin Turner broke the tie with a two-run homer to left field. 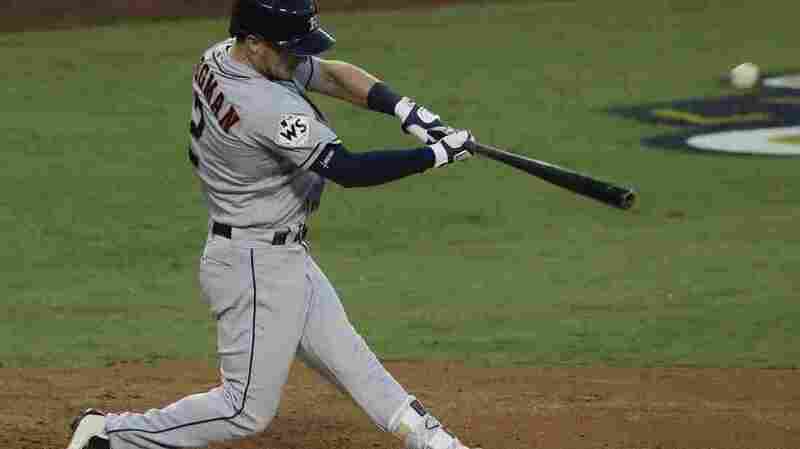 Houston's Alex Bregman gets the Astros on the board with a home run during the fourth inning. Keuchel gave up three runs and six hits in 6 2/3 innings. He struck out three and surrendered one walk — to Taylor, setting up the Turner home run. That made the score 3-1 Dodgers, and their highly touted bullpen held that lead. LA reliever Brandon Morrow retired the Astros in the eighth inning and closer Kenley Jansen wrapped it up in the ninth. The game clocked in at just 2 hours, 28 minutes. In addition to the quick time and outstanding pitching, Game 1 of the 2017 World Series is likely to be remembered for the heat. The recorded temperature at Dodger Stadium at game time was a toasty 103 degrees. In fact, Turner gave credit to the heat for his game-winning homer. "When it's that hot here the ball does travel a lot better," he said in a postgame press conference. "If it's 10 degrees cooler that's probably a routine fly ball to left field." Game 2 will be played Wednesday evening In Los Angeles. The scheduled starting pitchers are Rich Hill for the Dodgers and Justin Verlander for the Astros.